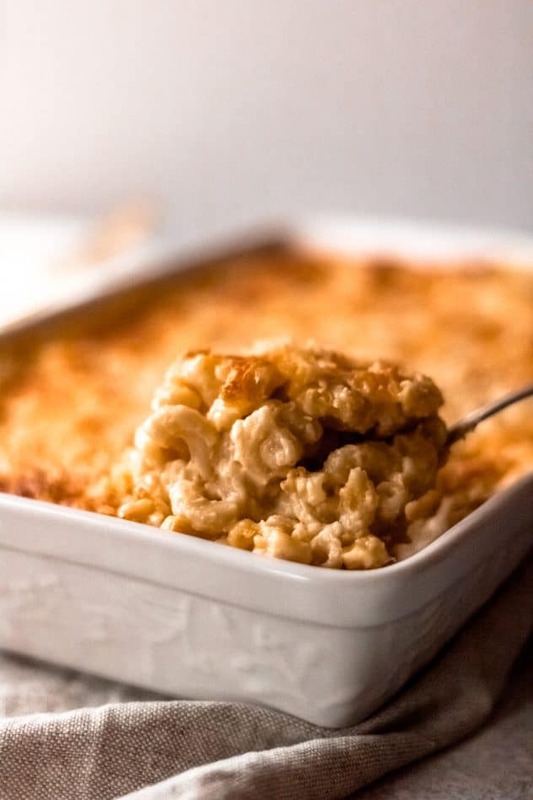 Baked Elbow Macaroni and Cheese is the perfect dish to share at your next holiday party. This sponsored post is in partnership with The Kraft Heinz Company. All thoughts and opinions expressed herein are my own and not influenced by the company and its affiliates in any way. The holiday season is upon us! 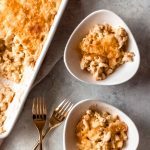 Whether it’s a work potluck, a celebration with friends, or a Thanksgiving event, this Baked Elbow Macaroni and Cheese made with KRAFT Expertly Paired Cheese is an elegant twist on a crowd-pleasing favorite. 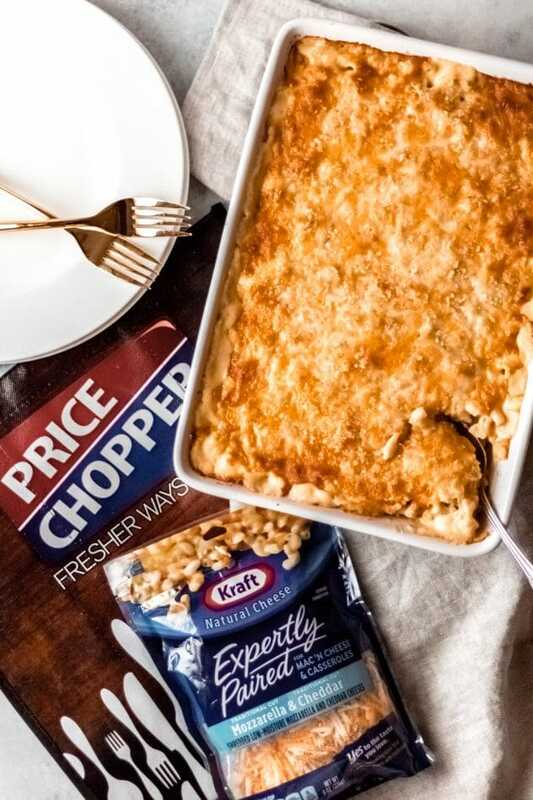 KRAFT Expertly Paired for Mac ‘n Cheese & Casseroles, Mozzarella & Cheddar combines a softer cheese with a classic, taking casseroles to a creamier and cheesier experience. Look at all those flavors that combine into this simple yet elegant classic dish! 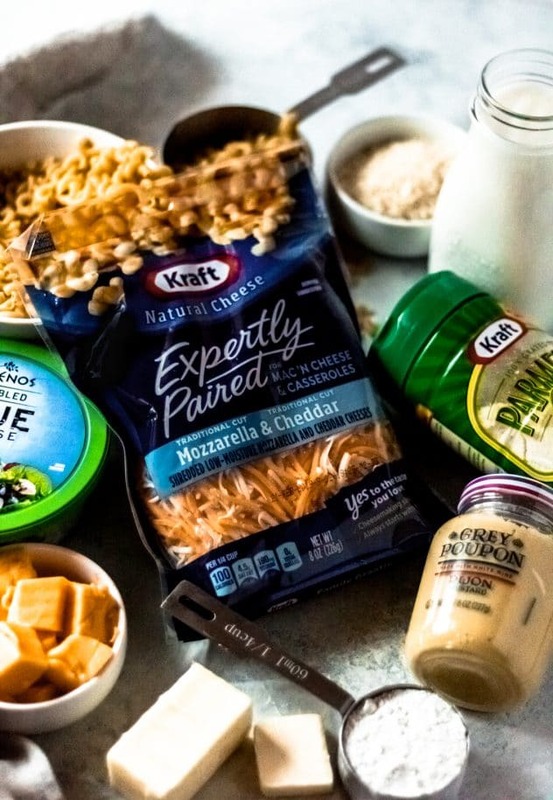 Of course, KRAFT Expertly Paired for Mac ‘n Cheese & Casseroles, Mozzarella & Cheddar is the star of this dish. However, you’ll also find subtle hints of other flavors such as creamy VELVEETA®, ATHENOS Blue Cheese, GREY POUPON Dijon Mustard, and KRAFT Grated Parmesan Cheese. 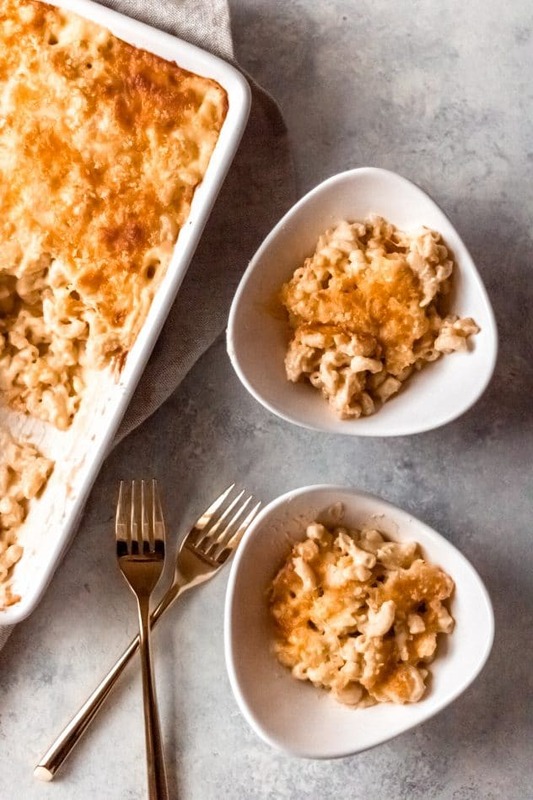 This Baked Elbow Macaroni and Cheese is next level delicious. If you’re like me, you get tired of taking the same old dishes to your holiday parties. I’m always looking for something new and exciting, yet simple and delicious. With this dish, I felt like I was creating something elegant that would wow the guests. 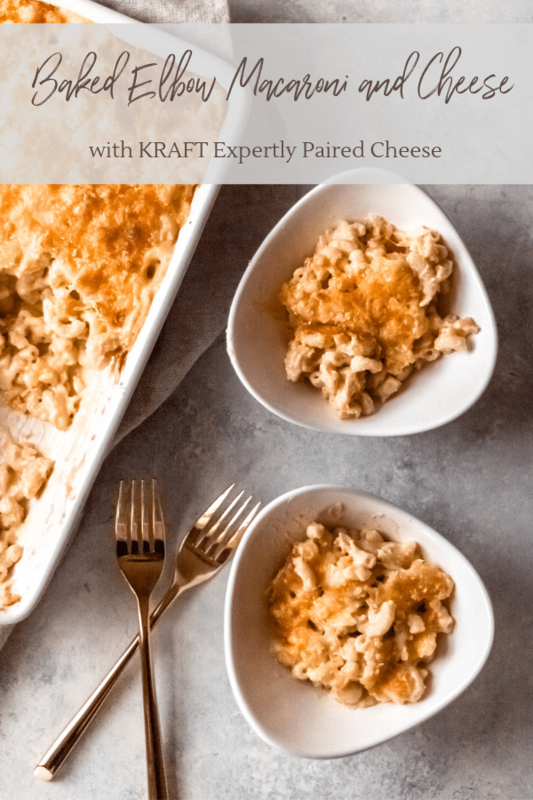 KRAFT Expertly Paired for Mac ‘n Cheese & Casseroles, Mozzarella & Cheddar creates such a rich and creamy texture throughout the entire dish, and then it’s finished off with a savory crunch on top, creating a dish your guests won’t forget. 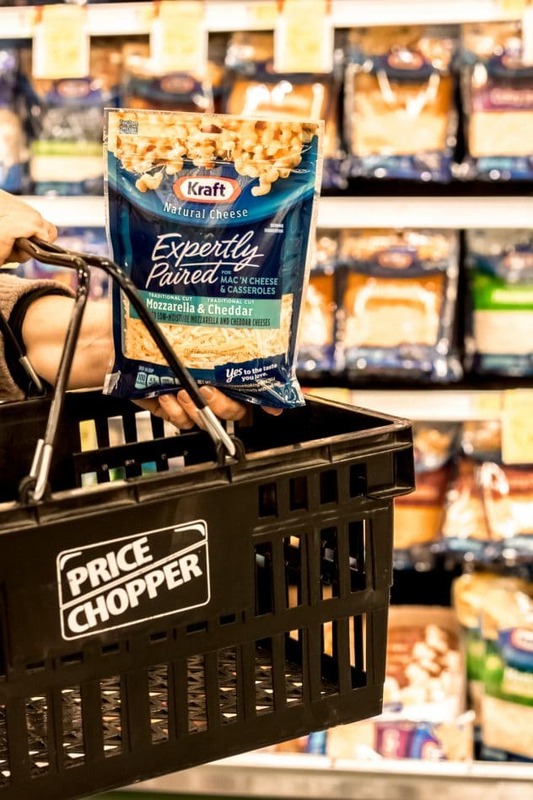 Find all new varieties of KRAFT Expertly Paired Cheeses at your local Price Chopper store. No need to scour multiple stores for the ingredients of this elevated dish, just grab them all at your local Price Chopper and you’ll be on your way to baking this crowd-pleasing dish for your holiday party. You can find the original KRAFT Baked Elbow Macaroni and Cheese recipe here. I’ve also included the recipe below. The perfect dish to share at your next holiday party! KRAFT Baked Elbow Macaroni and Cheese is an elegant twist on a crowd-pleasing favorite. Add remaining shredded cheese mixture to the sauce along with the VELVEETA, blue cheese, mustard and 2 Tbsp. Parmesan; cook 3 to 5 min. or until VELVEETA is completely melted, stirring constantly. Add macaroni; mix well. Spoon into 13×9-inch baking dish sprayed with cooking spray. I need this comfort dish in my life today! I have all the ingredients and will be making this for dinner. I will come back and let you know how much we loved it. Nothing beats homecooked meal and this baked elbow macaroni cheese is perfect for the current weather. Warm and delicious! You can’t go wrong with homemade mac and cheese. I love your addition of blue cheese too – it’s fun to play with the flavors. Can there be anything better comforting that a bowl of mac and cheese! Like with everything else, home made mac and cheese is the best and it looks so delicious! You can’t go wrong with a good mac’n’cheese to warm you up on a freezing cold day! Your version sounds and look delicious. Homemade mac and cheese has got to be the best comfort food ever!! And baking the mac and cheese makes it crunchy on the edges. Oh, my heavens I’m getting hungry just talking about it. My boys LOVE mac & cheese. And I love that you used blue cheese here. It’s my favorite. This must taste super delicious. I’m saving this to try with my family. Can’t wait. Can never go wrong with mac and cheese if you ask me! Totally craving this right now…I see some in my future 😉 YUM! Home baked mac n cheese is one of my all time favorites! Kraft cannot compare once you’re had this. I love your addition of blue cheese. Such an interesting layer of flavor. Thank you for sharing. Mmmm. Your baked macaroni and cheese looks outstanding. It looks perfectly cheesy without going overboard!! What a delicious recipe! Pinning for later.